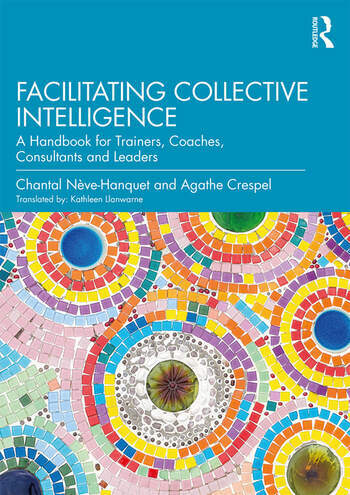 Chantal Nève-Hanquet and Agathe Crespel provide an accessible and ground-breaking guide to genuinely effective group work, sharing excellent hands-on assistance for coaches and facilitators. Offering a unique selection of guidelines and illustrations for group work, the authors demonstrate the benefits of using creative action methods in practice, helping leaders discover new ways to achieve dynamic group sessions and endowing their work with new vigour, as well as pleasure. Facilitating Collective Intelligence brings together a wealth of knowledge and techniques from psychodrama, Jungian and systemic analysis to inform group facilitation. Presented in four parts, key inner attitudes, questions and action techniques are explored throughout to help facilitators nourish open and flexible forms of communication within groups, stimulate collective intelligence and foster creative approaches to collective problem-solving. Illustrated with relatable case studies, the book guides the reader through the process of achieving more dynamism in group work, fostering creativity, encouraging agility and developing co-construction within groups. It contains more than 30 practical memo sheets which provide an instant reference tool for implementing the methods and models in the book. Nève-Hanquet and Crespel’s approach advocates the use of actions methods, specifically the ARC model, to encourage "out of the box" thinking and develop new paths and strategies in working with teams and organizations. Facilitating Collective Intelligence is an invaluable and essential tool in cultivating effective group dynamics for all coaches, coach supervisors and consultants, both experienced and in training. Due to its clear and practical structure, it will also be useful for counsellors, coaching psychologists and other professionals who work with groups, as well as students and academics of coaching and coaching psychology. Chantal Nève-Hanquet's international career in psychology has encompassed psychodrama, Jungian analysis and family therapy. During fifty years working with groups, she has significantly contributed to the spread of action methods. She is a member of several international associations, including IAGP and EFTA, and a founding member and treasurer of the Belgian-based FEPTO which promotes action methods throughout Europe. Agathe Crespel trained as a psychologist and practitioner of action methods in Belgium and France. Over the past fifteen years she has facilitated groups in various professional settings, making extensive use of action methods for supervision, coaching, and the enhancement of creativity. The authors, both members of the Brussels-based Centre for psycho-sociological training and intervention (CFIP), have extended their practice to Italy, France, Bulgaria, Greece, Switzerland, Sweden, Turkey and the United States through numerous congresses and workshops.